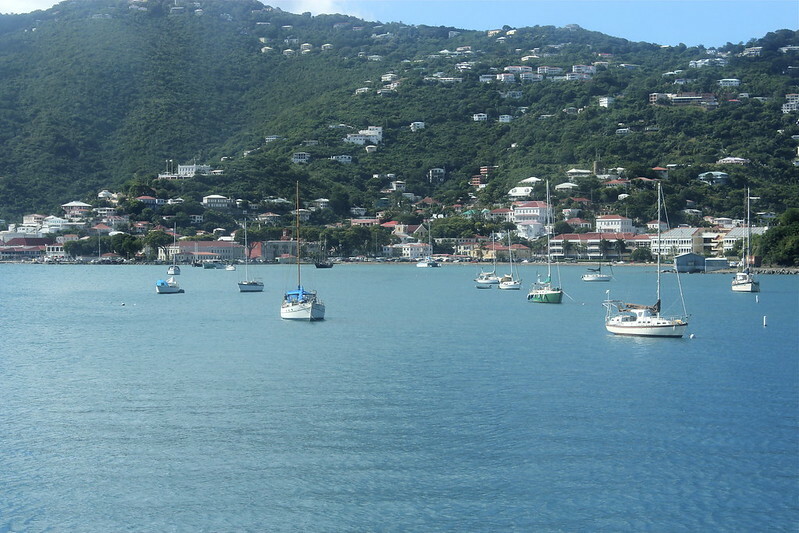 Reminiscing on my vacation that was only a few short weeks ago I bring to you the beautiful scenery of St. Thomas. Let the mental relaxation begin. 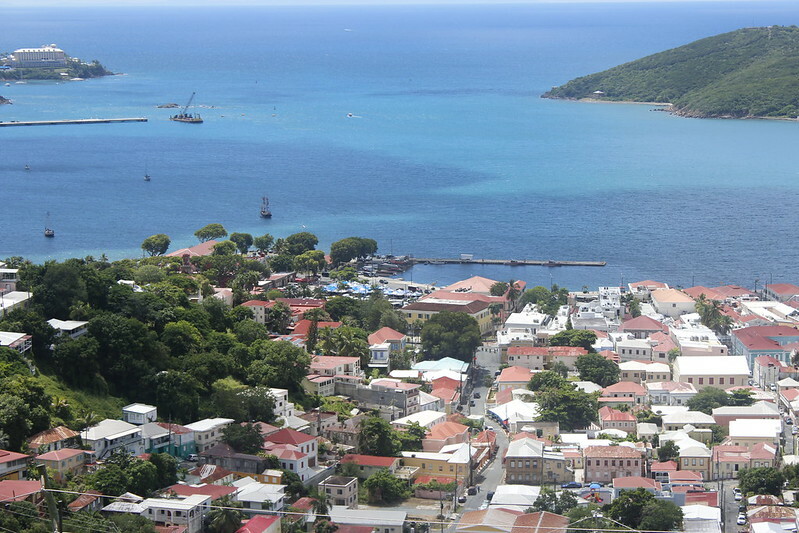 Houses on the hills and bluest of blue water surrounding every view was what we saw of St. Thomas. I couldn't be more excited to lay in the water and take in the glorious beach. 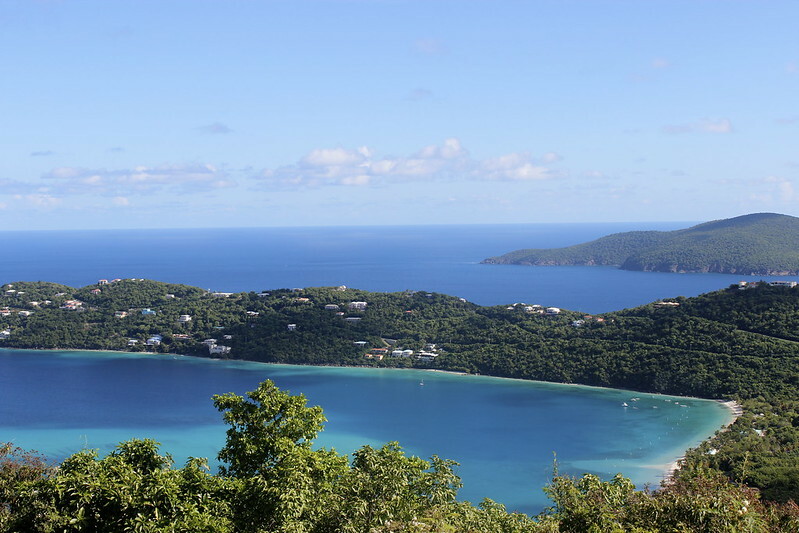 Destination from the top of the hill was the beachy sand on the right of the above picture. Only items needed for this day were sunglasses and swimsuit attire. It was so hot and bright that you said to yourself, this is true island living. All responsibilities thrown by the waste-side. As our way was made closer to the beach, houses that were just a glimpse in the green forest made a view for themselves. Not realizing how far up we were, our ship seemed small in view, but looking at the other boats in the sea, that was clearly not the case. Well! Hello there! Yes I do own a private beach. :-) We arrived early enough on the beach to only have few in the water with us. 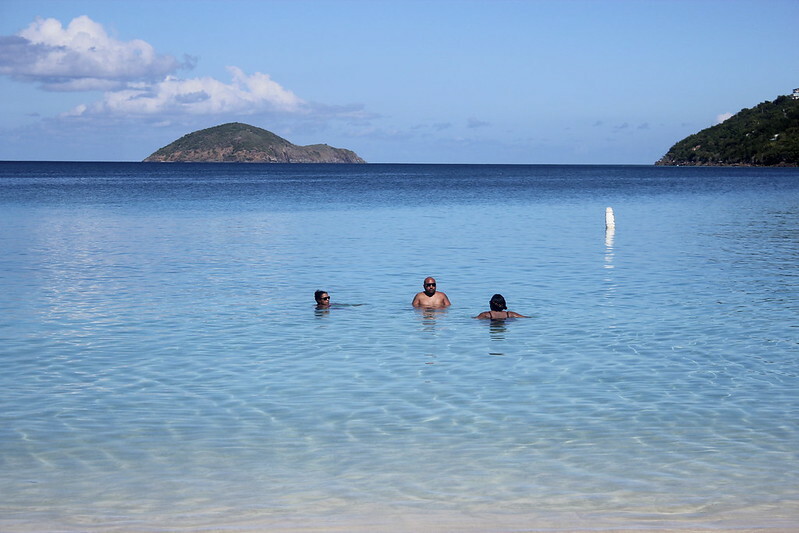 It was pure heaven in that water. The sand was white and the fish were as clear as the water. The only color on them were their eyeballs which were black. There were even baby crabs walking on the sand! Surly a sight to see. 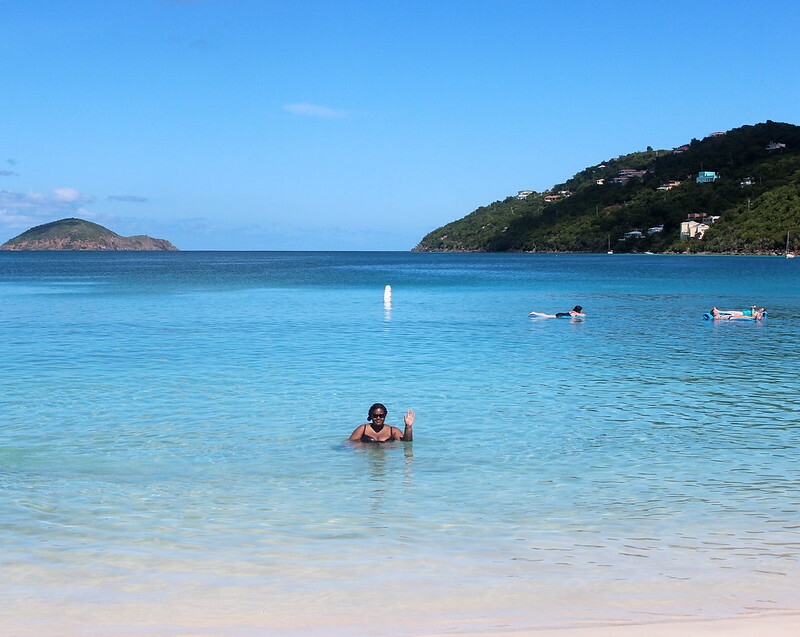 As more beach goers arrived I met a North Carolina couple that so fell in love with St. Thomas on their first cruise that they decided to have a destination wedding there. They spoke of finalizing their wedding plans and are to wed next month. That sure gave me some thoughts for my wedding one day. 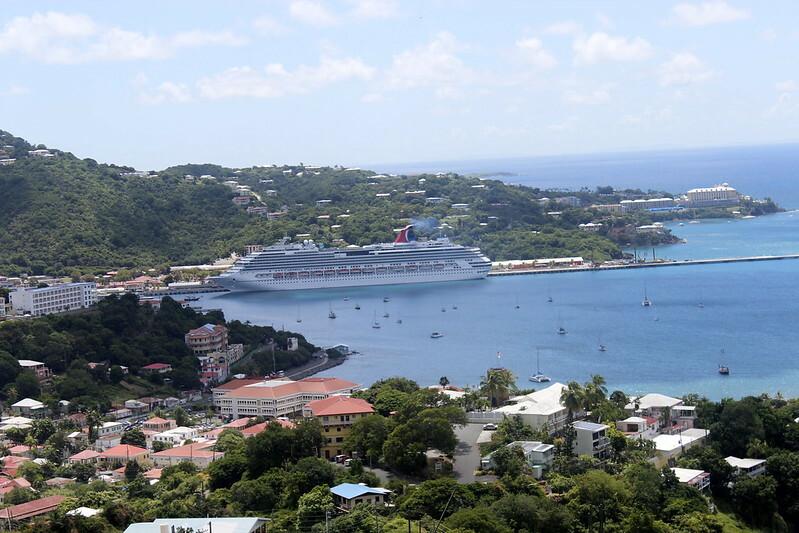 Taking in the view from our cabin was the ground level view of St. Thomas as we sailed away. A short 6 hour stay I left wanting more of the island. More than a day would not be enough to take in such beauty. Time only seemed to stay still in my mind. 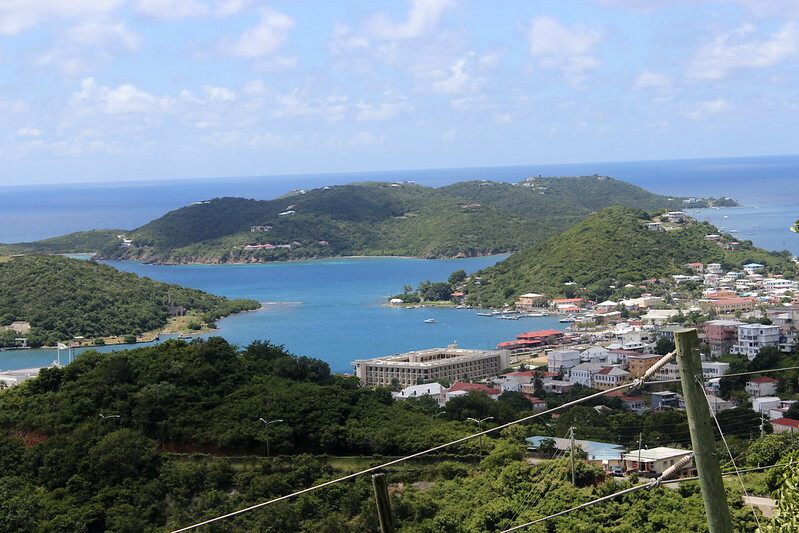 I hope you enjoyed the views of St. Thomas as much as I did. A few more locations to share in upcoming posts. 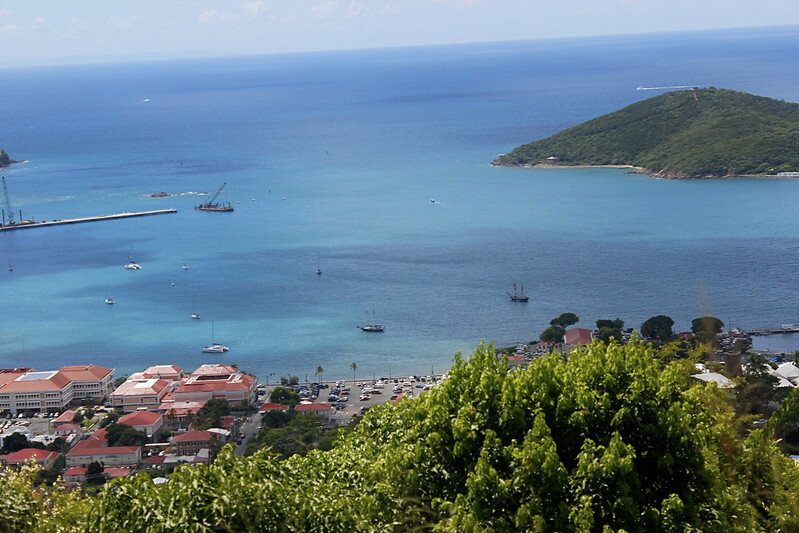 My family is from St. Thomas and it is indeed a beautiful island. 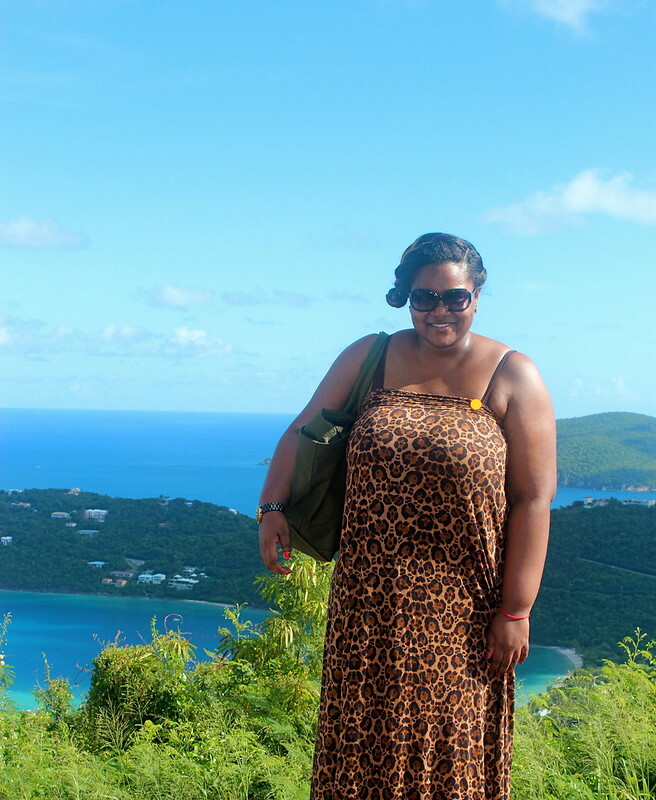 You must go back & visit all of the US Virgin Islands!